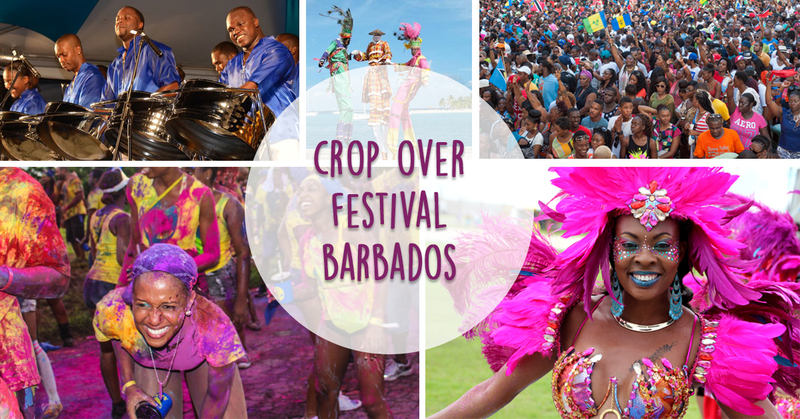 Last Sunday, Soca On De Hill proved why it has been a staple event in the Crop Over calendar for years. It was all about the good vibes as thousands of soca enthusiasts landed at the picturesque Farley Hill National Park for over eight hours of non-stop soca. From as early as 1 p.m., throngs of soca lovers descended upon the St Peter park in long lines with their coolers and umbrellas at hand, prepared for what would be an electrifying day consisting of catchy beats and endless waist rotations with performances from over 25 soca artistes from Barbados and throughout the Caribbean. The patrons were sweltering in the heat but with icy drink at hand they were pumped from early with performances from the likes of Hollaback with his 2018 hit Too Sweet, Faith who reminded the ladies to enjoy themselves with singles such as Man Go and Band of the Year and Imani who kept the energy going All Day Long. The crowd went wild for the beloved local acts such as defending Pic-O-De-Crop monarch, iWeb, who put his social commentary hat aside for the day to pelt waistline and deliver an energetic performance of All Inclusiveand Best of Me. He was also joined on stage by his Enterprise Squad members, Adrian Wilkinson and Rondell Clarke to perform Issa Snack, before closing off with the powerful tune Stomp which also features Mr Blood. Although a newcomer to the Soca On De Hill stage, Jus D was at home as the thousands of patrons gathered immersed themselves in his popular tunes Na Na Ni, Manager, Hole and Sugar featuring Faith. Peter Ram was another crowd favourite, as a chorus erupted during his performance of the 2016 Sweet Soca hit Good Morning. During his 15 minute performance, Ram also made a tribute to the veteran calypsonian Romeo who passed on June 6, singing his song Jabae. Veteran calypsonian Red Plastic Bag also had the crowd in a trance singing hit after hit. The hundreds gathered belted his numerous songs such as Boat Ride, Spontaneous and the 2018 gospel soca Hallelujah. Edwin Yearwood’s set, although over 20 minutes long, was entirely too short. The Krosfyah frontman kept the crowd going with Wet Me, Pump Me Up and Good Time. Aided by some energetic performers from Riddim Tribe, King Bubba gave a lively performance of singles such as Rum King, Jiggle Jiggle, Bubbaling, and Juice. He was followed by the orange-haired songbird Nikita, whose honey-dewed vocals captured the crowd as she sang Going The Distance, Same Way and Journey. The energy and the dynamism that the regional acts brought on the stage was not to be missed, starting with St Lucian Teddyson John. This was his second time on the Farley Hill stage and he received tremendous love from the audience as they belted his 2016 hit Allez. Some of the ladies at the front were so excited they appeared ready to jump on the stage to sing along with the St Lucian soca artiste. He followed that with the performance of two new singles. Although the songs were not extremely well known by Barbadians, John eagerly instructed the crowd on the chorus, even showing them the movements to Vent. By the end of his set, the crowd was grooving to the soca song. He was later joined on stage by his Lucian brethren Ricky T, who was warmly received during his performance of Freaky Girls, Sully and Pressure Boom. Trinidadian artiste Shal Marshall’s performance of Splinters resulted in a mad rush from the thousands gathered. There was an echo of ‘we don’t have no behaviour’ from the patrons. Blaxx was another performer who exceeded expectations Sunday night. He did a ‘hulk smash’ on the Farley Hill grounds with his delivery of hits such as Hulk and Leh Go. Blaxx showed he was truly a Master of Mas during his performance. Closing off the Trinidadian line up was the Soca Princess, Patrice Roberts. A familiar face to Barbadians, Patrice has successively performed on the hill for the past three years and she was one of the ultimate highlights of the nights. She sang tunes such as Money Done, Old and Grey, Like It Like That, Mo Wuk and Sweet Fuh Days. Although the Big Girl called for female empowerment and female independence during her performance, she wilted when faced with a male master winer from the audience during her performance of Criminal Wine. Taking a note from Roberts, Lil Rick called for the ‘mother sally’s’ in the audience to come onto the stage during his performance of Mudda Sally. The ladies showed the hundreds gathered that being plus sized didn’t stop them as they wined, tumbled and split on the stage to a roaring cheer from the crowd. The Hypa Dawg closed off the show with a rousing 45-minute performance which also included performances from his family. In between his performance of singles such as Advantage of Me, Hover It, Ben It, Breakfast In Bed and Sugar Lump, he called his kids Rickara, Rinicko and Unda Dawg on stage to perform their Crop Oversingles. There were also performances by Lil Natty and Thunda from Grenada, Skinny Fabulous from St Vincent, Marzville, Joaquin, Mikey, Kirk Brown, Rameses, Nick Man, Kakatee and JAM-R.